Vera Farmiga Ready & Willing for Sequel to "The Conjuring"
When a movie that costs $20 million rakes in $41.9 mil opening weekend, a sequel is pretty much a guarantee. 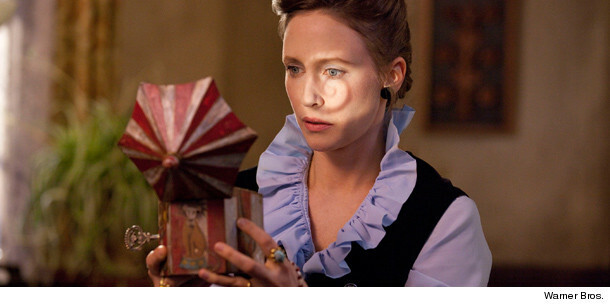 And doing a followup to "The Conjuring" is something star Vera Farmiga is very excited about. "I love working with Patrick [Wilson] as Ed and Lorraine Warren," she recently told toofab's Brian Particelli at Comic-Con. "I'd love to do it again, so fingers crossed!" "I'm proud of that film," she continues. "It doesn't surprise me [that it performed so well] because I really think that [director] James Wan is an auteur ... he's this lunatic conductor and his rhythms, his cadence, his tempo, his phrasing is really beautiful to watch." We also recently caught up with Lorraine Warren, the paranormal investigator played by Vera, as well as two of the real-life members of Perron family -- daughters Cindy and Andrea -- who experienced the horror firsthand. toofab: What was it like seeing the movie? Cindy Perron: Despite having to relive some horrific events that happened to us in that home, the movie was excellent. Andrea Perron: I thought extraordinarily captured the events, some of the events, that occurred in the house. We were there for 10 years so they had to compress all that into a 2 hour film. That aside, they did an extraordinary job. toofab: Did you visit the set? Andrea Perron: Yes. What was very important to us was that those girls not be traumatized during the making of this film because we know what we went through and even though they're actors and they get it, its still very intense subject matter. Cindy Perron: Yeah, we were concerned about that the most and when we saw how James handled the girls, it was wonderful. it was magical. It's like he was their daddy, protecting them. he was great. toofab: How do you think Vera did playing you? 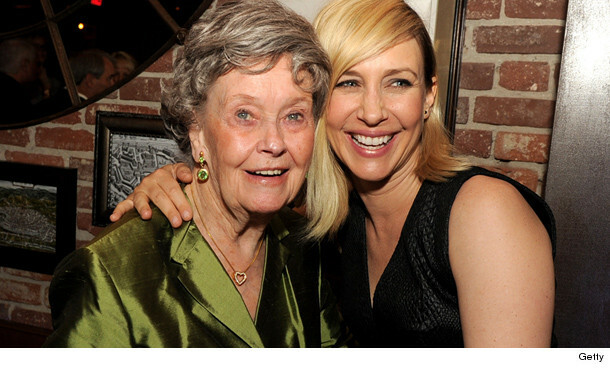 Lorraine Warren: Wonderful! Fabulous! She's just a down to earth person, you'd love her. She's genuine, you can't say that about every person. Some of them are putting on airs, no, she's genuine. toofab: James was saying you came to the set and you sensed things were a little "off" with the furniture. Do you find that happens a lot? What do you do? Lorraine Warren: The only way you can clear up a set is through faith. That's the only way. You can command in the name of Jesus Christ for things to go back to where they came from. toofab: What do you want people to take away from the movie? "The Conjuring" is in theaters now. You Can Win A "The Conjuring" Prize Pack!